Cheam Windows, a Bifolding Door Company, supply and install a large number of Aluminium Bi-folding doors every month to homes in Surrey, London and the surrounding areas. When choosing a quality bi-folding door system, the best quality products are Aluminium Bi-folding doors from Origin. The Bi-folding door market remains very bright. The trend today is for home owners to build extensions. Often extending the kitchen or living and dining space with a Glazed Orangery style roof finished off by a set or two of bi-folding doors. We are an established Bifolding Door Company for over 25 years. When you come to choose your Bi-folding Door Company, we hope you will come to Cheam Windows. Great features such as Floating Jamb for with adjustment. From an install point of view (and of real help to anyone who actually installs aluminium bi-folding doors) is the great feature for width adjustment at the lock jamb. The lock jamb features a floating jamb which gives you that absolute final adjustment on the lead leaf. This ensures the that doors are within all their tolerances and perfectly adjusted. It really is a very clever thought and is of great help to installer. The automatic toe and heel device is also of real benefit. The 20 year guarantee is a very bold manufacturing warranty to offer on any product. Such is the quality of Origin bi-folding doors, that we stand by their product. Once you see the quality of the finished glazed and installed door, the quality handles, fantastic running gear, hardware and general fabrication you can very quickly see why. No other Bifolding Door Company guarantees their products this long. No other aluminium maker of any product offers a 20 year guarantee today. Excellent Weather Rating – the doors will meet BS 6375: Part 1: 2004 Air permeability 600 Pa Water tightness 150 Pa Wind resistance 1200 Pa Free Glide System. The bottom of each door section has its own long wheel base solid aluminium carriage with four wheels that run inside a low threshold base track. Each wheel brilliantly uses nylon type 6-6 on the wheels, a resilient high melting point material that resists degradation due to heat and friction. Each nylon wheel spins around a 6mm hardened stainless steel shaft on its own set of needle bearings along a stainless steel track. This may sound a “tech” but you really need to see the doors in action to appreciate this very clever design on a frequent weak point on lesser door systems. Secured by Design – this is the “police preferred” specification and many systems companies choose to test their products to this standard. Window systems to tend to pass secured by design with relative ease if made well and with good hardware. Doors are a tougher test and to achieve SBD is an added bonus. Anti finger trap facility and low threshold. The Origin Easifold door comes with a bespoke anti-finger trap gasket between each door leaf. This means that even when they are fully open and folded to their full extent, there is no gap and the risk of a finger trap. The doors in the open position have a strong magnetic stay which holds the door in place. This magnetic stay is often a weak point in other bi-folding door systems which either have no facility or rely upon a hook and eye arrangement or similar. The action on this magnetic stay is both positive and solid. The low and flush threshold radically reduce the likelihood of trips and falls. And the hidden free glide running gear prevents little fingers from getting trapped. The doors feature an 8 point locking system with deep throw security hooks which are the deepest engagement available on the market today. They also feature anti-drill cylinders, vertical locking shoot bolts and a very solid quality handle set in a variety of colours. There are a wide variety of PVCu windows in the market, make sure you choose the latest most technologically advanced. 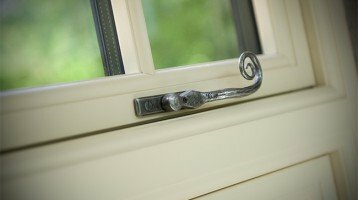 PVCu Windows come in differing styles and profiles. 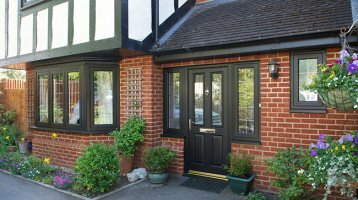 What you might not know is that when choosing the right windows for your home the replacement PVC Windows for Surrey by Cheam Windows are the latest, most technically advanced windows available today. The Cheam Energy A window is newly designed and developed for the UK and manufactured in the UK. Our window uses 100% lead free, recyclable PVCu coupled with the highest quality energy saving glass. a unique 4 chamber sash and frame arrangement – high technology design resulting in strong frames and sashes. A high gloss polished finish that reduces cleaning and maintenance and retains a cleaner look for longer. Resists airborne pollutants and moulds. Wide choice of styles and designs. Security is of paramount importance nowadays. If you are looking for high security pvcu windows, the Cheam Energy A offers anti-jemmy bolts, low profile glazing gasket and locking handles. Also included in our range are internal glazing beads and high security multi point locking system with bi directional deadbolts, roller cam bolts, twin shoot bolts and hinge guards. We know there is a wide choice of product available in the marketplace today, but a window is not just a window. All of our Latest Technology PVCu windows are available to view in our showrooms in Hampton Court, Cheam Village and Worcester Park. Here you will find a comprehensive range of products to view, in a relaxed, no pressure environment. Contact us if you would like more information. Looking for Bifolding Door installers ? Make sure you choose wisely. Bi-folding, or Sliding Folding Doors, are one of the most popular home improvement product today. Open up your living space or extension. Bi-folding doors offer wide glass areas and a totally clear opening and bring the outside in. You will no doubt have seen lots of advertising locally and nationally for bi-folding doors but you must choose wisely when it comes to bifolding door installers. Bifolding Door Installers – you get what you pay for ! Bifolding Doors in Surrey, London and nearby areas are available at a wide range of prices. From the budget door for several hundred pounds to several thousand depending upon the design and specification. The budget door will in most cases be in PVCu. All of the quality bi-folding doors are made from aluminium. If you are looking for Bifolding Door Installers for an extension or for replacing your old patio doors you must keep in mind that this is a far more complex product than a standard pair of french doors. With bi-folding doors it is very much a case of you get what you pay for. One thing you must consider with bi-folding doors is not to buy them in PVCu. Cheam Windows supply the finest quality pvcu windows and doors but will NOT supply a pvcu bifolding door. Why? This is due to the nature of sliding folding or bi-folding doors and the way they slide, fold, open and operate. As well as usually being fitted in a much wider and taller opening than standard french doors or patio doors. This means you must have a product which is firstly well designed and well made. And it must be fitted with the best quality hardware and running gear. It is widely accepted that pvcu is subject to much more thermal expansion than aluminium and in the case of bi-folding doors, pvcu can have issues with alignment and reliablity over the lifetime of a bi-folding door. The thermal expansion of plastic (PVCu) over aluminium means that bi-folding doors in pvcu may not work reliably, especially over the summer months. If you are looking for the best quality bi-folding doors, we offer you the Easifold product from Origin Doors only in aluminium. Origin is acknowledged as the market leader in bi-folding door design and ONLY the Origin Doors by Cheam Windows are available with a 20 year manufacturers guarantee. No other bifolding door on the market today offers this level of guarantee. If you are considering bi-folding doors in your home aluminium is the best choice. It may not be the cheapest option, but in bifolding doors Aluminium offers the correct mix of slim sight lines, security, inherent strength and minimal thermal expansion. The Origin Aluminium Bi-folding Door will be a great product for many years to come. The slim sight lines of aluminium mean you will also have a greater glass area than pvcu as well as a more attractive frame. Information on our bi-folding doors is available here . Please contact us if you would like any more information on the best quality, bi-folding doors in Surrey today.